“What happens if Dr. Wolff gets in there and finds out that my labrum is more torn than we thought? Will he still fix it?” This question is probably the number one question we are asked in the office during initial surgical consultation. In many fields of orthopaedics, surgery can sometimes be very black and white. Intra-operative decision making in hip arthroscopy, however, is much more grey. Treatment of labral tears traditionally includes repair, a procedure in which Dr. Wolff carefully fixates the labrum back to the acetabulum. Extensive or complex labral tearing may be difficult or even nearly impossible to fix with a repair. A labral reconstruction is a relatively new treatment for patients with inadequate labral tissue available for repair. This procedure is when Dr. Wolff resects the labrum and places a graft along the acetabular rim to mimic normal anatomy. 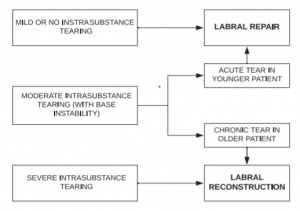 Labral reconstructions have been shown to lead to improvements in both pain and function. 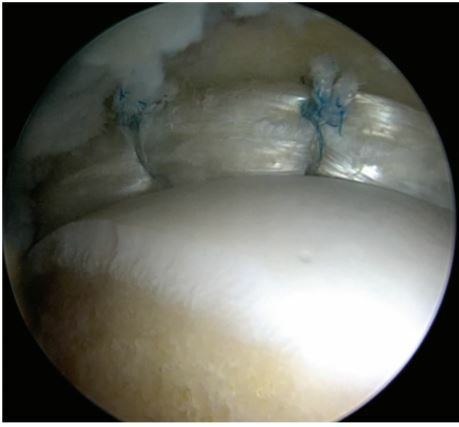 A labral repair may restore anatomic function, but fail to remove pain-generating tissue. In contrast, labral reconstruction, while far more technically demanding, not only restores anatomic function, but removes pain-generating tissue. Dr. Wolff performs labral repairs when the labral base is unstable or detached and the labral damage is mild. For reconstructions, there is typically a segmental defect and severe labral damage. 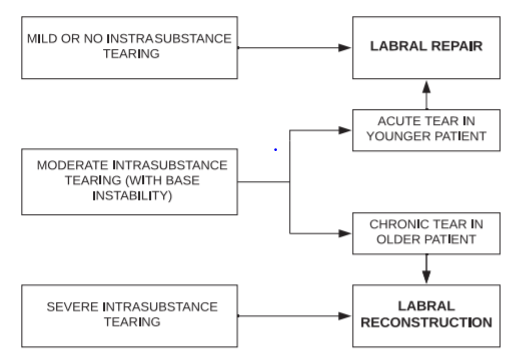 A labral reconstruction has also shown to be a promising viable option for older patients where there is typically concern regarding the healing of repaired tissue, or in cases when excessive synovitis concerning for chronic pathology is identified. 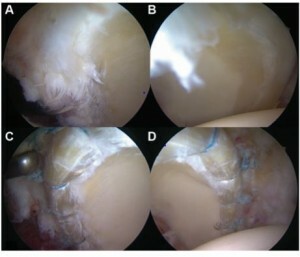 A labral repair may restore anatomic function, but fail to remove the pain-generating tissue. In a recent study that Dr. Wolff published in the American Journal of Sports Medicine, he found that patients who underwent a labral reconstruction had similar outcomes to those who underwent labral repairs despite more challenging patient characteristics. Click Here to Read the article.